The 6 rules you absolutely must follow if you want to sell high-ticket affiliate products to your list (so you earn bigger commissions and generate more revenue per subscriber). My proven 5-step system for converting more of your email subscribers into buyers. 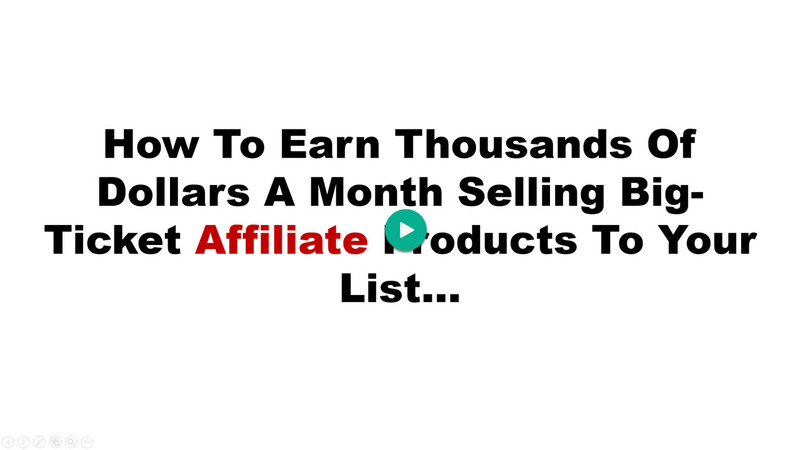 These are the EXACT strategies and techniques that have helped me sell millions of dollars’ worth of high ticket Affiliate products and services to my list… in multiple markets… and earn millions of dollars in affiliate commissions along the way. I hope you find them to be just as valuable and as profitable as I have! Wow, this is such an awesome video, a real gem. I knew about these things but I never really understood the strategy behind it. Thanks for giving it away! You’re welcome, Peter. Glad you enjoyed the video!